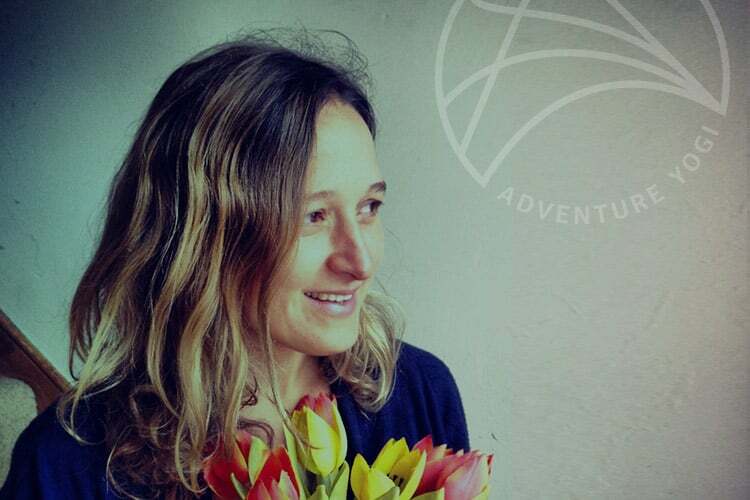 Michelle is the founder and Director of AdventureYogi. Since a young age she has had a love of holistic and natural health and a passion for massage, always being asked by friends at school for relaxing massage during exam time. She also has a love of travel. She worked in the tourist industry in her twenties which took her to the mountains and to the beach. The idea of studying holistic therapies was always with her so she returned to the UK to study holistic and sports massage, nutrition and yoga. She is now trained in Holistic massage, Sports massage, Indian head massage, Thai foot massage and Natural Face lift massage. She specialises in Sports and Deep Tissue massage and works from home in Brighton with private clients. She qualified as a 200hr Yoga alliance certified Sivananda Yoga Teacher in 2008. She then went on to study another 200hr yoga alliance certified Hatha yoga teacher training course with Laura Gilmore. These days she is busy in the AdventureYogi HQ, but when she does go on the holidays she is on hand to guide you to the right mountain or beach or lead a silent walk in the UK countryside. In the down time she will help relax and recharge you with her wonderful healing hands.